Lena Grunloh, an athletic training major from Effingham, Ill., is a recipient of the Hines Memorial Medal, which is awarded to seniors with the highest GPA. Winning this award was seemingly a part of Grunloh's destiny, as her mother, Jean Anne Oexmann, graduated from Indiana State and received the Hines medal in 1999. 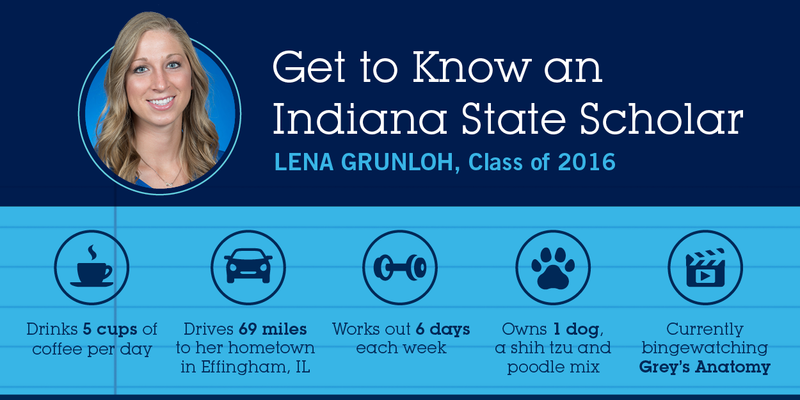 When Grunloh decided to attend Indiana State, she had no idea that she was a legacy student. In fact, Oexmann had not mentioned her alma mater until her daughter attended New Student Orientation. Talk about full circle! She will be attending graduate school at Butler University. "I hate laziness! I can't even sit and watch a movie for two hours without feeling like I have to get up and do something else." "It's important to me that I make sure that I am applying myself in everything. With everything that I do, I make sure that I am giving it 100 percent. I have never been someone who is comfortable with settling with the mediocre. My schedule is always insane and I gripe about it, but I remind myself that if I was not doing anything, I would not be happy. I want to be involved and maintain the integrity of those involvements. Time is also important." What has been the biggest lesson you have learned while in college? "Failing is a part of the success process." "I am afraid of looking back and knowing I did not take advantage of everything I could have. I fear selling myself short or not fulfilling my own potential." "Alexandra Spillman, one of the other Hines Medal recipients, gave me the best piece of advice. Before taking one of our athletic training tests, she would always sing ‘Do your best! Forget the rest!' There is an entire song that she sings and it's annoying all the way through, but it works because I can apply it to everything in life." 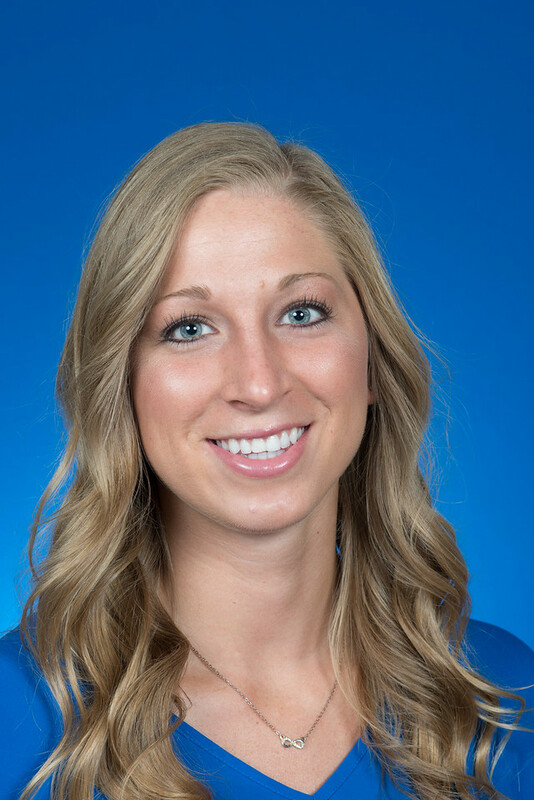 Lena Grunloh, an athletic training major from Effingham, Ill., is a recipient of the Hines Memorial Medal, which is awarded to seniors with the highest GPA.